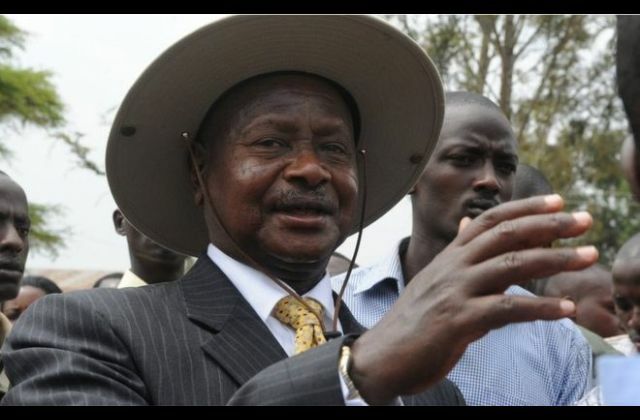 President of Uganda, H.E Yoweri Museveni has shared his gratitude towards CMI squads for apprehending criminals on Friday night after raiding a suspected terror cell. “I am sure I am speaking on behalf of many of you when I congratulate the CMI squads which arrested a number of suspects in the killing of ASP Kirumira on Friday night.” President Yoweri Museveni. One person was shot dead and nine others arrested in an operation in Namugoona, Lubaga Division on 28th.09.2018 in an operation targeting a terrorist cell in the area. The operation was carried out on Friday night by operatives from the Joint Anti-Terrorism Task Force-JAT. The dead suspect was identified as Abdul Kateregga, whose body was taken to Mulago Hospital for Post Mortem. 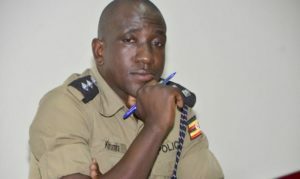 According to the Police spokesperson Emilian Kayima, Katerega was pronounced dead on arrival at Mulago National Referral Hospital. “In the course of arresting the nine suspects, one Katerega Abdul was injured and while he was being taken to Hospital for medical attention, he bled due to injuries sustained and was pronounced dead on arrival at Mulago National Referral Hospital,” read Kayima’s statement. The nine arrested suspects whose identities are still being withheld have since been placed under police custody for screening and statement recording. Kayima says that the raid followed intelligence information of a suspected terror cell in the area. “The police and sister security agencies wish to thank members of the public that give such vital information to Security agencies so they crimes are effectively fought and wiped out,” Kayima says.